The president and CEO of Blue Cross and Blue Shield of Alabama, Tim Vines, will give a graduation address to more than 1,200 degree recipients at Auburn University’s graduation ceremonies Saturday, Aug. 4. Vines graduated from Auburn in 1988 with a degree in finance. Vines will speak at a 10 a.m. ceremony for the College of Architecture, Design and Construction; the Samuel Ginn College of Engineering; the School of Forestry and Wildlife Sciences; the College of Liberal Arts; and the College of Sciences and Mathematics. He will also speak at a 2 p.m. ceremony for the College of Agriculture; the Harbert College of Business; the College of Education; the College of Human Sciences; and the School of Nursing. As president and CEO of Blue Cross and Blue Shield of Alabama, Vines leads the largest provider of healthcare benefits in the state, serving nearly 3 million members. 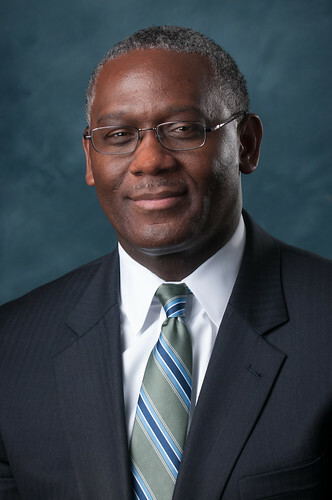 He began his career at Blue Cross as a management candidate, and over the past 24 years, Vines has held prominent roles of increasing responsibility, including executive vice president and chief operating officer and president and chief operating officer. Vines contributes his leadership expertise to many organizations throughout Alabama. He serves on the board of directors of Regions Financial Corporation, American Red Cross Alabama Region, the Better Business Bureau for South and Central Alabama and the Birmingham Business Alliance. Additionally, Vines is chair of the Samford University Board of Trustees. A devoted family man, Vines and his wife, Toni, have three daughters, Trish, Hannah and Angelica, and two grandchildren. Auburn will award 111 doctoral degrees, 320 master’s degrees, 21 education specialist degrees and one veterinary medicine degree. The bachelor’s degrees by college and school are: College of Liberal Arts, 155; Harbert College of Business, 136; College of Human Sciences, 112; Samuel Ginn College of Engineering, 98; School of Nursing, 84; College of Architecture, Design and Construction, 53; College of Education, 45; College of Sciences and Mathematics, 42; College of Agriculture, 28; and School of Forestry and Wildlife Sciences, five. Tim Vines ’88 will speak at Auburn University’s graduation ceremonies Saturday, Aug. 4.